Cantilever Parasols Everyone wants to enjoy the soothing sunshine and cooling breezes, but it never is same always, when concentrating sunshine makes you uncomfortable. 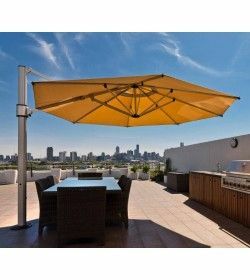 Then cantilever parasols give you shade and best protection from UV rays while our windshields protect your balcony from wind and nosey neighbours. Cantilever Parasols There are 7 products. 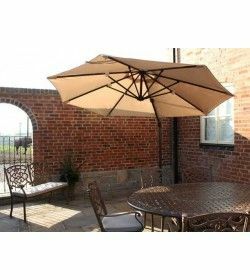 High-performance parasol to shelter your outdoor space, whatever the weather. Available in 5 standard colours with a huge range of non-standard colours available. 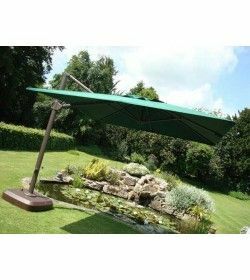 Peninsula Cantilever Parasol can be positioned in the following ways – 360 degree turning from a pedal on the base, vertically up and down the mainframe - this operates the tilt-action on the parasol cover. For storage purposes it can be totally folded down – this is done using a handle on the mainframe. 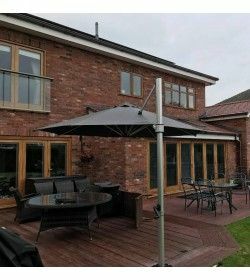 The Junior Cantilever Parasol offers complete 360° rotation as well as a tilt function combined with its sturdy base allows you to position it anywhere in the garden. 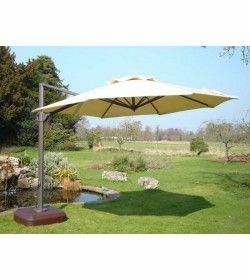 Our Cantilever parasols are different in their design as these garden parasols don’t go through the middle of tables like most parasols. 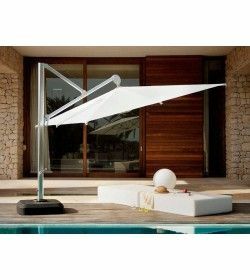 Instead, these soothing items have their own stand and pole and are usually placed at some distance from the table and garden benches. 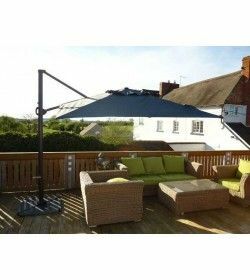 These cantilever parasols have the advantage of working with garden benches and loungers, teak garden furniture, water hyacinth outdoor furniture and rattan dining set without the need for a furniture piece to hold it!